It's definitely not an easy situation. He has betrayed the royal family and his actions contradict everything for which it stands. They've turned their back on him, as they should. He and his wife can get away from the public eye. The Infantas are not essential for the monarchy, anyway. Wow, thank you for summing this up, Alexandrine!! I'll definitely be looking coming back to this thread to understand what's going on. I'm honestly glad that issues such as those with Iñaki were made public. There are many other families/countries where this would have been kept hidden. But why should Elena suffer if she hasn't done anything bad that we know until now? She has already lost because she is the first child but will not be monarch, should she lose her position for something her sister has done? They also haven't turn their back at him. The Queen has been on their side from moment one and even there was a "reconciliation" with the rest of the family before christmas. The new mails which contain scandalous info have changed all that, well the Queen maintains her position I suppose. ^^ The surprising thing is that it has become public as the king (supposedly) has made a fortune in irregular business. You only have to check who his friends were in the 80s and 90s. At this point is divorce or formal accusation... mainly the press talks now of how she must renounce her titles and succession rights. I wonder why Elena married him if he wasn't so posh and then there's pressure for him to support her in a style to which she is accustomed. He wasn't so rich when she married him (as far as I know) and suddenly he's supposed to become a prominent wealthy businessman right away and provide for her royally? KF, you mean Christina. But I totally agree with you. I guess Christina was too stupid and in love to think of what sort of lifestyle she'd have marrying a thick, poor man. I never got this marriage. I think it's valid for the both of them! Marichalar inherited money from an aunt supposedly but it's the strangest thing ever. Iñaki doesn't look very posh (?) but his family had money but of course not in the level Cristina moved. The first apartment they had supposedly was paid by him and he also had some shares in a restaurant. I would say that Cristina knew that her family would fund her lifestyle and didn't matter who she married. breaking: Iñaki didn't pay the bail so he is going to be embargoed! The last infos are about a possible infidelity of Iñaki which was already talked about a couple of months back. There were rumours about a russian blond "friend". If the Queen abandons the boat the spanish monarchy is done and done. The covenant of the hospital (seal between Sofia and King Juan Carlos after the controversial King's hunting trip to Botswana and the appearance on the scene of his hunting friend Corinna zu Sayn-Wittgenstein), who led the monarch to apologize publicly, is back on the table. 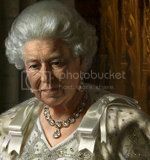 The Queen, very upset about what is happening around your family, wants to distance. Somontes complex information that speak to leave La Zarzuela meditate for long-stay in another European country. "The problem would be egregious" say zarzuelólogos: "As much as Spanish opinion has assumed that the Kings make life apart, the impact of the images of the Queen of Spain in a new foreign residence, with his usual routine out of our country , would be a daunting public blow ". WOW She must be tired of everything. Consider that in reality she must have spent the last twenty years in London and not in Madrid, since the eighties there is no marriage. Sofia already abandoned the palace with the children two times in the eighties but they made her come back. But she's always known to be quite close to Felipe and she wants to see him as king, so that she wants to leave and knowing the consequences tells me that a)they know that the boat is sinking b)that Felipe doesn't want the throne or a) and b) together. Maybe they are smarter than the BRF and realize the time has come. Possibly but you cannot compare the BRF present situation to the SRF. I think they've made a holy mess and it's impossible that they will be able to clean up. Even if Felipe is king it won't resolve the situation. The BRF has made some really bad mistakes and managed to overcome but maybe the incentive is different. When you said "was also with Iñaki ", do you mean lovers? !